We had the pleasure of supplying our special low energy 12V DC lighting for a special project this year called ‘Peace Camp’. This special event is taking place from the 19th July to 22nd 2012. You will see from the link there are many sites around the UK where Peace Camp have set up special coastal installations celebrating love, poetry and landscape. The nightime images of illuminated tents are of course where our lighting has found application. Well done to all who all who made Peace Camp a reality this year. OnSolar was certainly proud to be able to supply 12v CFL for the project. Another very intesting project was for us to be able to supply suitable low energy LED lighting units for HMS Victory’s lighting refit / update. During a re-fit it was decided to use low energy, low voltage lighting on special circuits to enable the magnificent HMS Victory to be illuminted using discrete LED units concealed within the ships existing lighting units. The famous ship resides at Portmouth Harbour and can be visited by the general public. 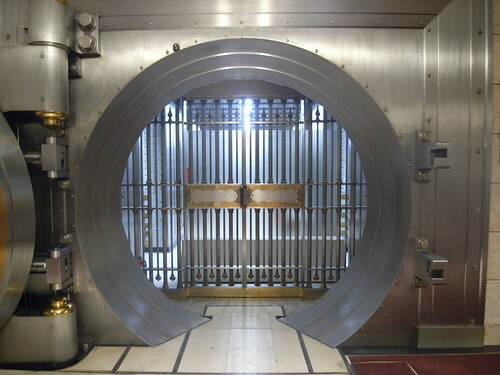 Did you know that Banks have bank vaults? Of course you did! But, did you know ‘they’ are all being fitted with OnSolar Low Energy 7W CCFL? Yes, our special low voltage, low energy lamps are being fitted to all banks throughout the UK to enable bank staff to have light available automatically even when regular AC power is cut or unavailable. If you hadn’t guessed already, bank vaults have no windows and can be very dark without power!